There’s so much in this short snippet that I don’t even know where to start. I think we can all agree that there are those among us who want nothing to do with traditional religion. The idea of God as a sovereign and all-powerful being is somewhat less attractive than a picture of divinity that emphasizes humanness. Aside from the massive explosions, cool graphics, and technological gadgetry, one reason that so many people may be flocking to superhero films is that they tap into a current of spirituality. People want heroes who are unlike them, heroes who can vanquish their enemies; and yet they also want heroes who are like them, who have real flaws, and weaknesses; real struggles, and battles. The Greek gods fit this description millennia ago, and comic book superheroes fit it today. But what does this mean for you and I, and especially the Church? One thing that comes to mind is that while teaching unbelievers about our sovereign God, we need to keep in mind that people are looking for a person who is both like them, and not like them. For Christians, this person is Jesus Christ. Now I am not saying that Jesus had flaws or sins, he did not; however, what I am saying is that he took on human flesh, embraced the difficulties of an authentic human existence, and faced terrible temptation, suffering, and pain, just as we all do, even as he was powerful to an extent that still confounds my imagination. The doctrine of Christ’s humanity is not a theological afterthought, or a footnote to the more wondrous stuff. It is a strange, mysterious, and quite moving aspect of the faith we claim. Though we may not fully comprehend the wonder of it all, Jesus became like us in order to save us (see Hebrews 2:1-18 and Hebrews 4:1-16). He is a glorious Lord, and he will return to this world in flaming majesty to judge it in a level of spectacle no movie will ever be able to present. Yet he was also a human being, one who wept, and hurt, and bled. He knows the sorrows of this earth, having become intimately acquainted with them in His incarnation. The people around us do not need an Iron Man, Superman, Batman, or any other superhero. What they need is a real Savior, a real Messiah, Jesus; and the good news is that Christ has come, and died, and for those who believe in Him, he exchanges our brokenness for his life; our weakness with his strength; and ultimately our sinfulness with his righteousness. 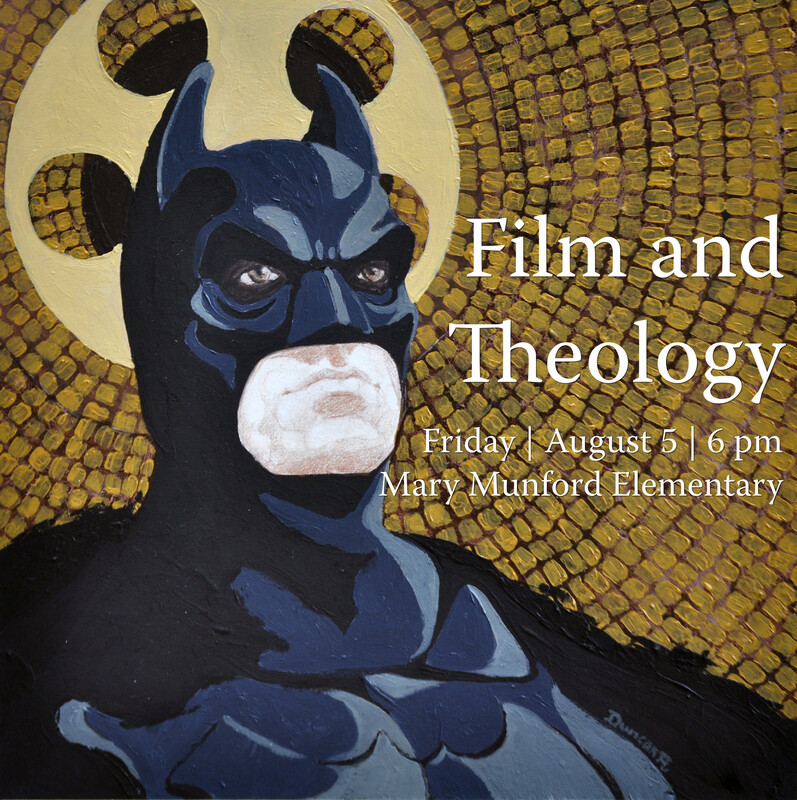 Plan on joining us on Friday, August 5th, at 6:00 p.m., at Mary Munford Elementary, for our final Superhero Summer event as we take a look at one of the most “human” of our current crop of superheroes.